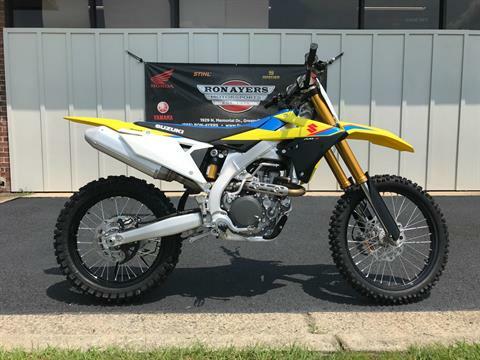 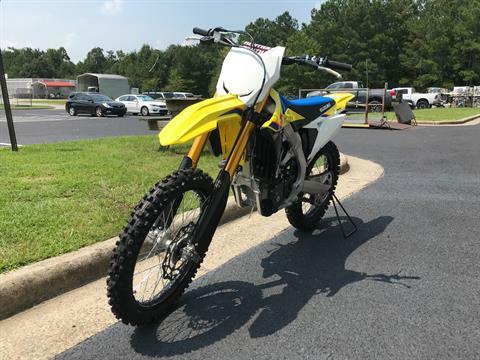 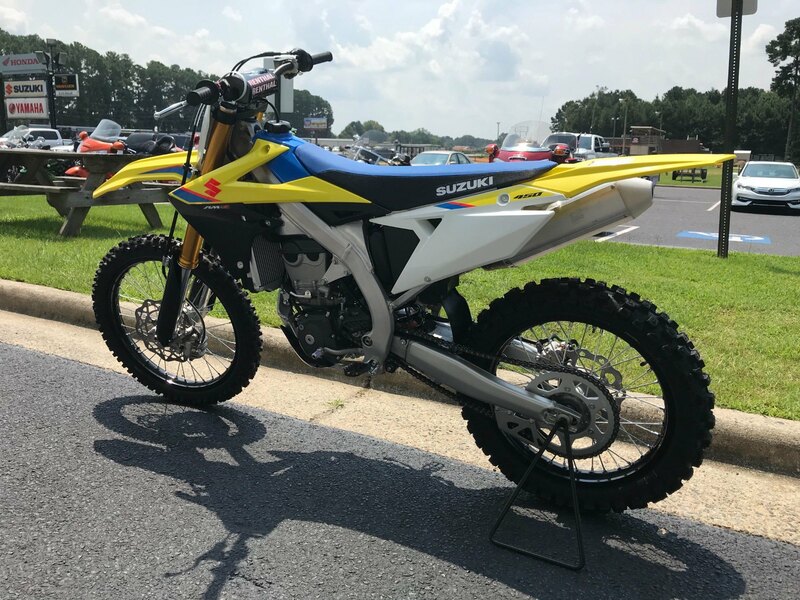 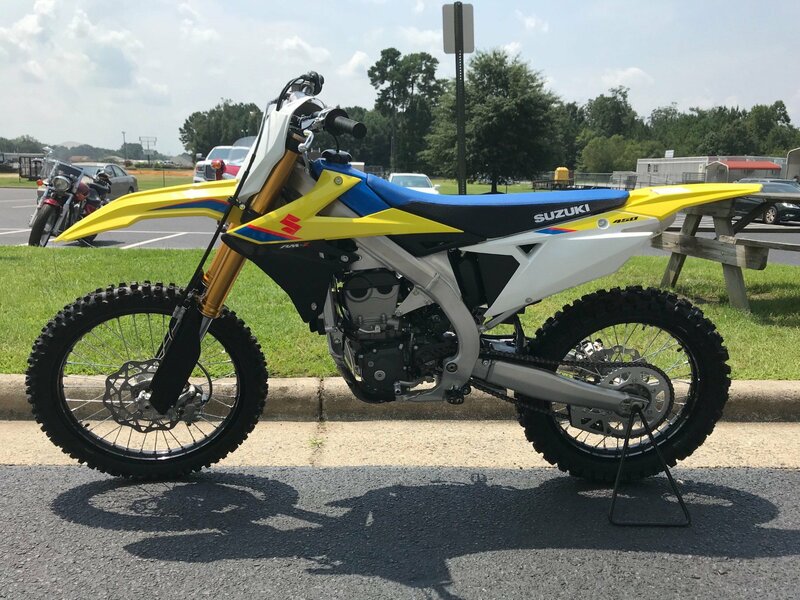 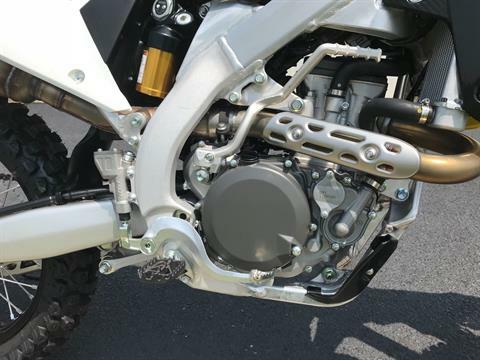 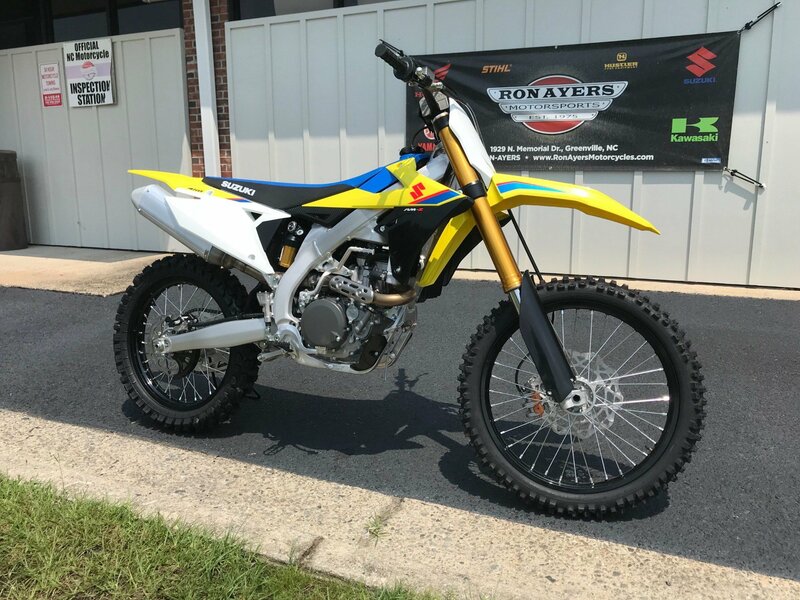 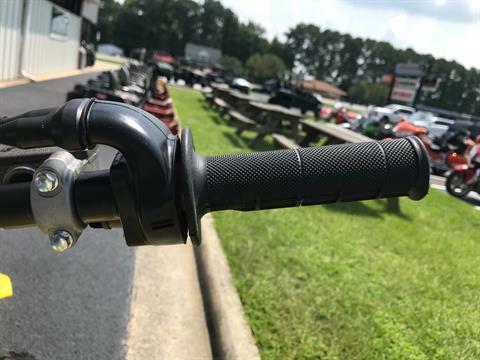 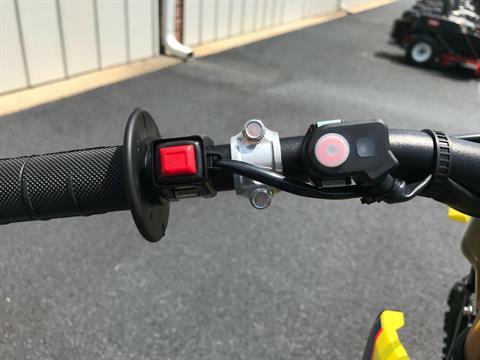 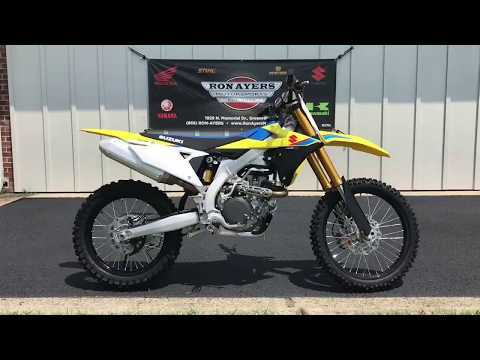 Base Mode: Standard power launch, no action required on the S-HAC switch, Designed for motocross use, the lightweight, battery-less, electronic fuel injection system is key to the engine’s efficient power delivery. 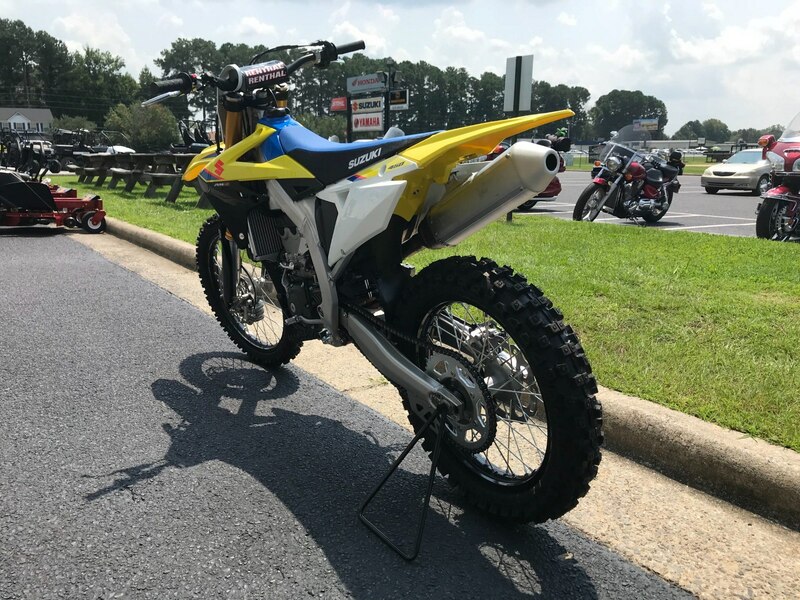 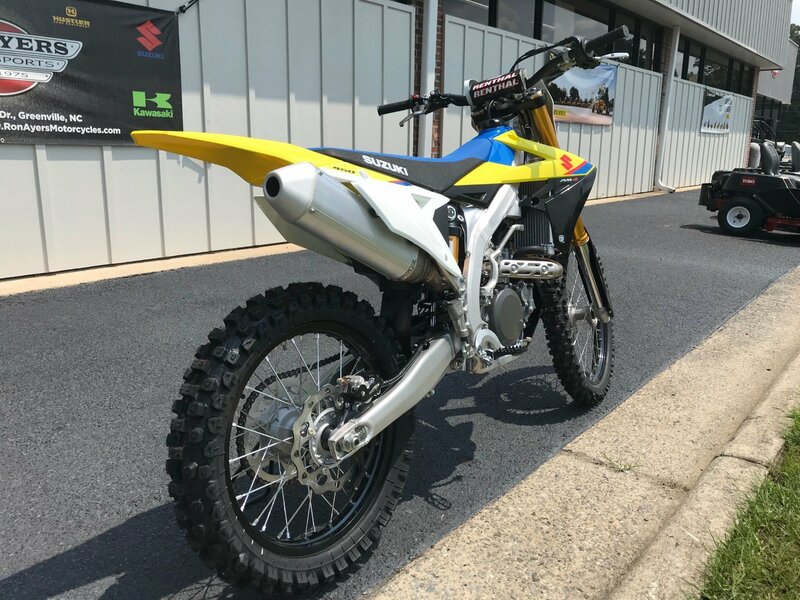 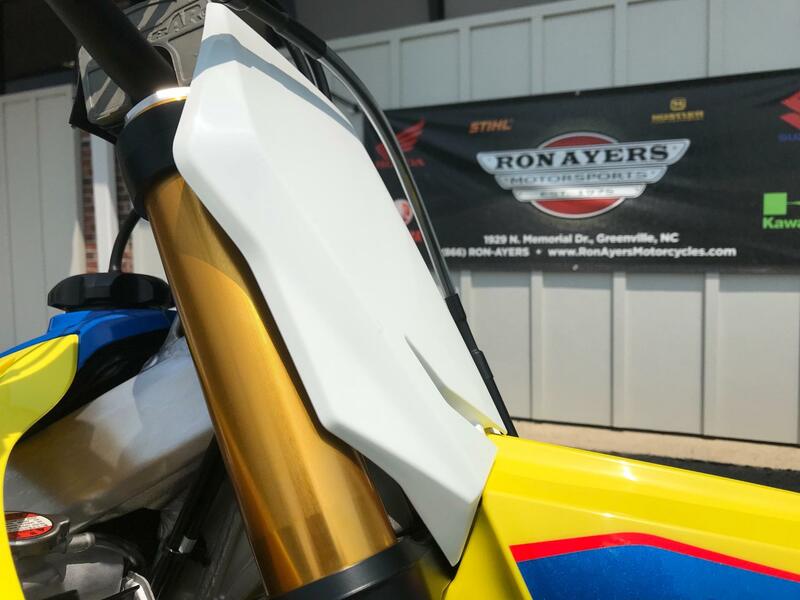 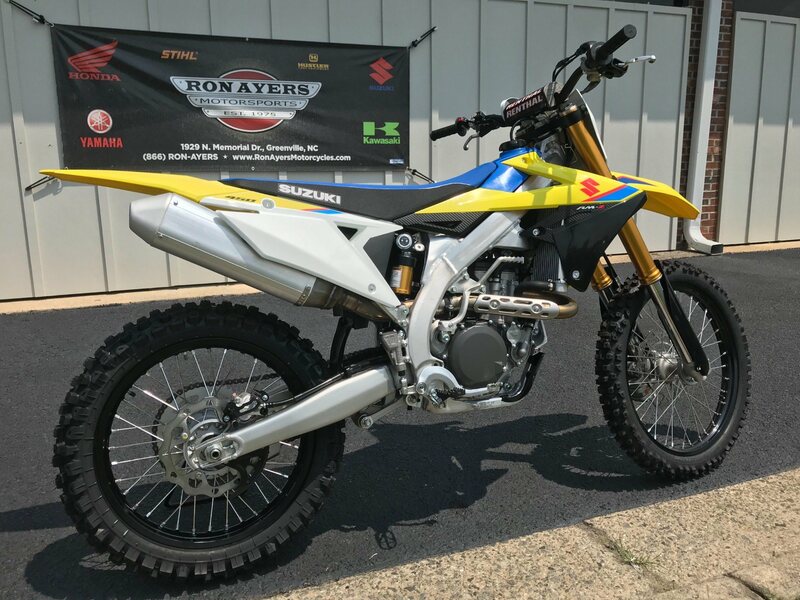 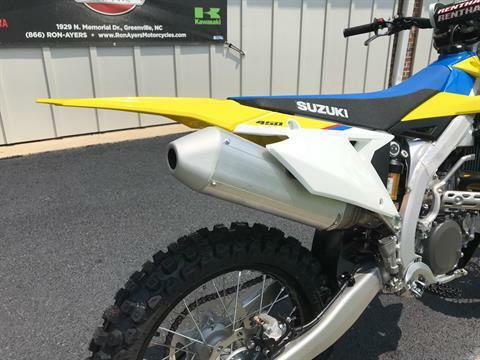 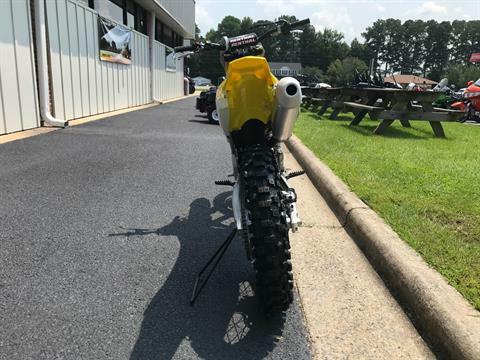 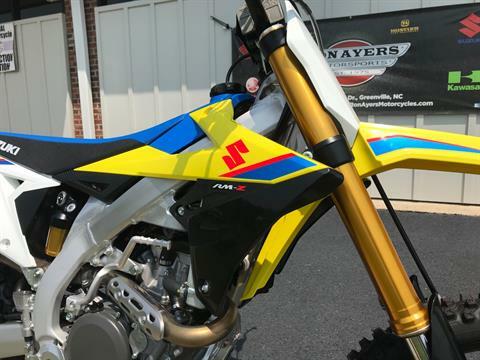 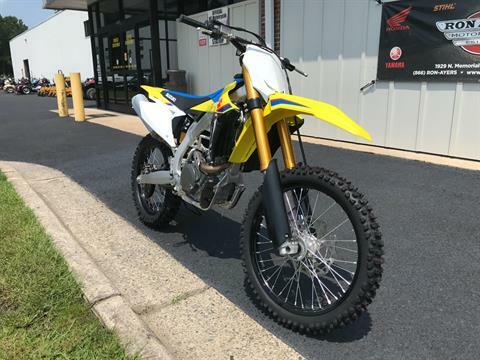 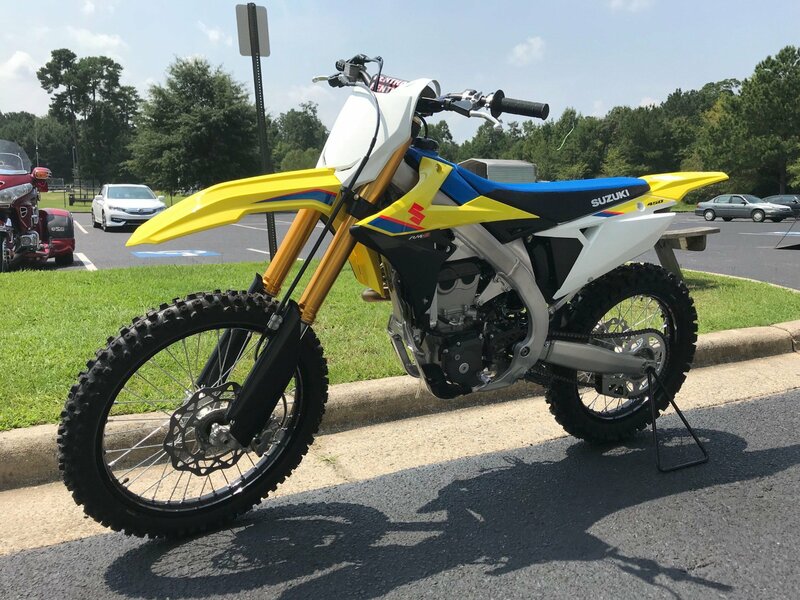 EXCEPTIONAL ENGINE PERFORMANCE: Great throttle response delivers high peak power, Evolved traction management system helps the bike hook up, Suzuki Holeshot Assist Control (S-HAC) gets you out front. 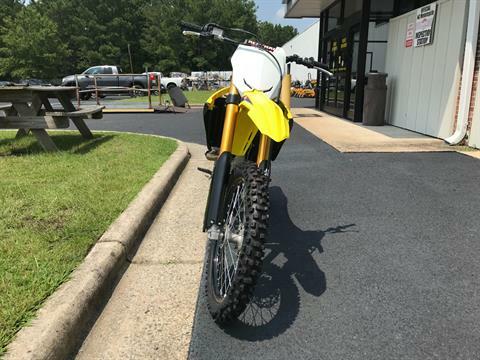 ADVANCED CORNERING PERFORMANCE: - Frame and swingarm balance lightness with strength, Chassis dimensions blend nimble handling with stability, Coil spring fork provides great performance and easy tuning, Showa BFRC (Balance Free Rear Cushion) shock with new spring rate and settings delivers remarkable damping response, Bridgestone X30 tires bring outstanding grip. 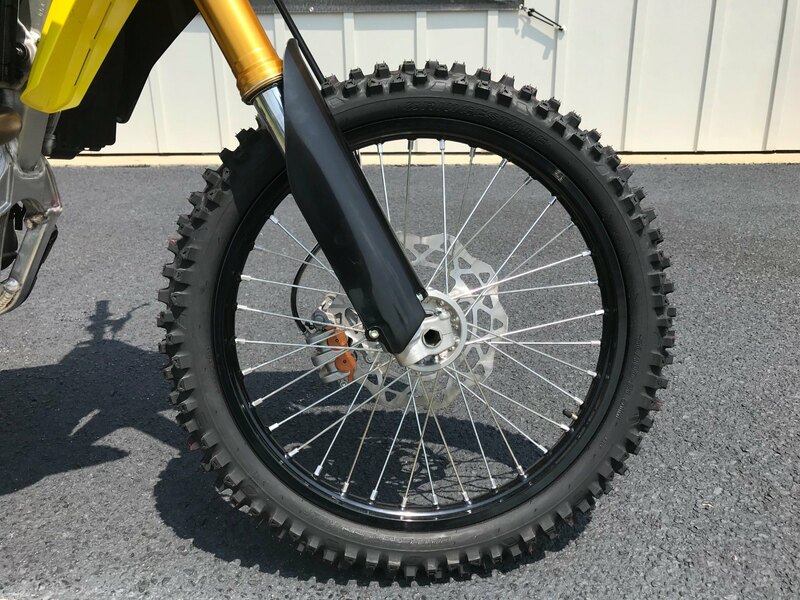 REAL BRAKING PERFORMANCE: Large 270 mm front brake rotor increases stopping power and feel, Compact rear master cylinder is designed to prevent mud from collecting on it and from catching on the rider’s boots. 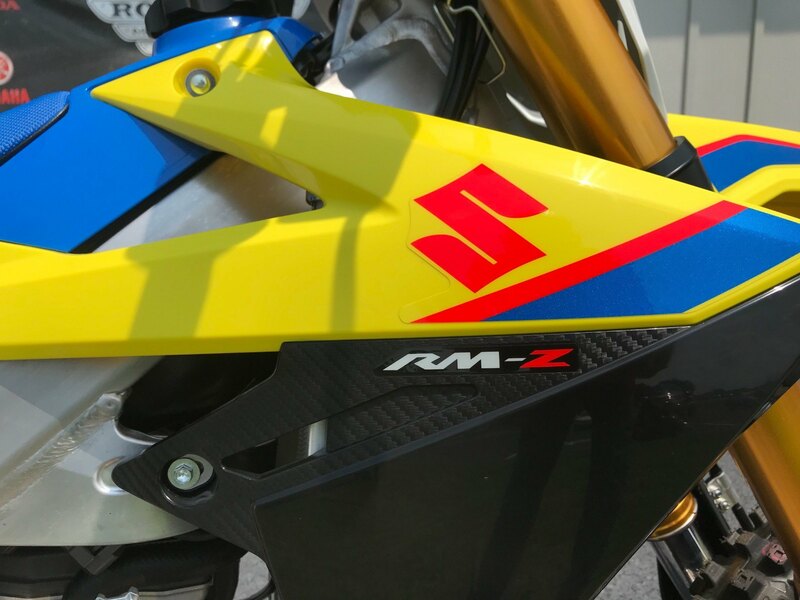 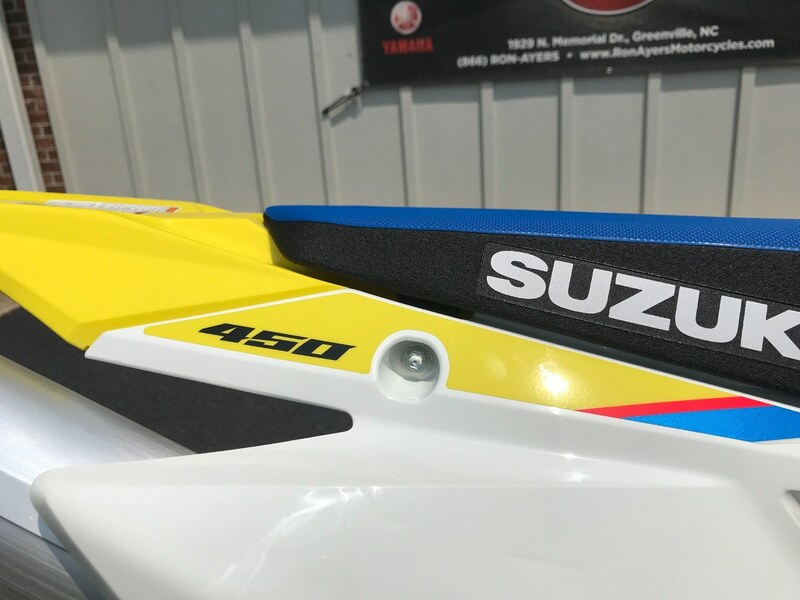 FUNCTIONAL STYLING: Aggressive styling blends function with Suzuki character, Narrow cockpit lets rider move with ease for maximum racing performance.